Providing web design that is mobile friendly.cutting-edge.SEO friendly. Multiple website options to suit every business need. WebMarkets will create, design, manage and align your website with successful marketing strategies. Your business website is best described as a virtual store, which should reflect the products, services, personality, value, and equity of your brand. Does your current web design make you proud of your company? A mobile first methodology is the new standard of web design. With over 90% of online visitors now using mobile smartphone and tablet devices, it is an absolute requirement that your business web design is optimized for mobile. Many new websites are not optimized for search engines. With 3.5 billion searches on Google every single day, if your web design is not SEO friendly and optimized for targeted keyword terms, your site will not be found on Google. If your website isn't growing, it is dying. At WebMarkets, we include website management in every plan, at no additional cost. Now, you can grow your site, without the hassles of dealing with an overcharged, unreliable, hourly rate web designer. An HTTPS certificate protects your computer against any "middle-man" hacking attempts. Since early 2016, Google has declared a new gold standard for all websites, which are required to have an HTTPS security status. A website partner plan is just that, partnered with your business. At WebMarkets, we don't believe in the typical. This is why and how we're different. Click below to select the website partner plan that is best for your business. Having a prompt, reliable and fast website host is the lifeblood of your website. At WebMarkets, we manage your hosting to the highest degree, guaranteeing fast loading speeds, 99.999% uptime and tier 1 support. At WebMarkets, we specialize in the DNN content management system. As the preferred website CMS platform for end users and developers, we are confident that DNN is the platform for your business. Website Design & Development is the creation or remodeling of a website and obtaining a well known presence within Internet. Sounds easy, but how can we create success online? The main focus of using Internet Marketing is to find success on the internet by increasing web traffic, community awareness, brand loyalty, creating a beautiful design, and the end user's potential to buy. WebMarkets has the ability to drive traffic to your website with its content management system, web traffic reporting and intuitive internet marketing techniques. Entrepreneurs are autonomous, creative, and are encouraged by results. So should your website's design team and their internet marketing tactics. This is why WebMarkets provides a variety of web design and development systems to fit your business needs. WebMarkets provides web design services from conception to completion. Our web design services are quick, effective, and prompt all while providing an excellent product with exceptional service. WebMarkets provides online solutions that are relative today and scale-able for growth in the future. 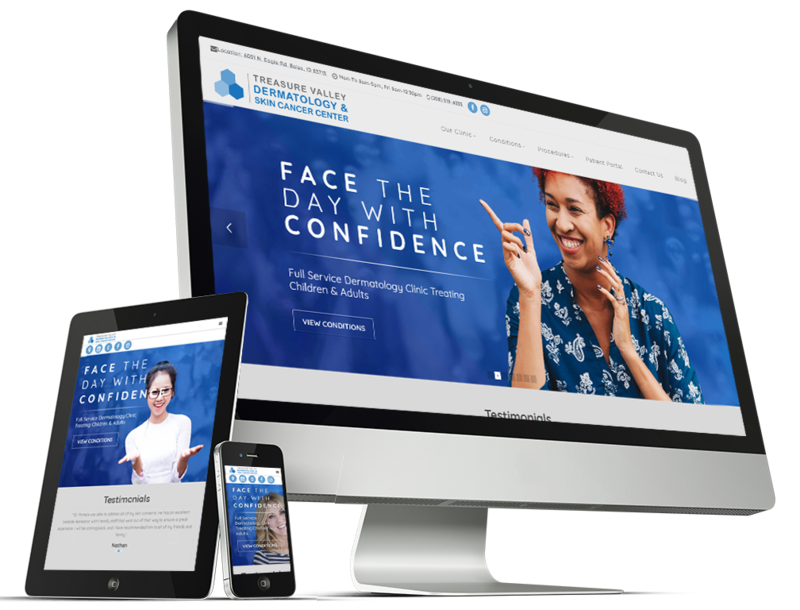 We offer a wide-array of website design and development services geared towards medical, business, non-profit, and personal Internet users alike. DNN, a Microsoft open-source website management system, an excellent, search engine friendly platform to build, customize, and promote on the world wide web. A properly implemented CMS allows for the webmaster, business owner or management team to add, delete, or edit content in a time efficient manner. With exceptional website management tools, DNN is the preferred CMS for technical web developers and business owners. WebMarkets has trained hundreds of people on the advantages of DNN, and they all say the same thing. DNN is a far superior website management tool than Wordpress, Joomla, and WIX to name a few. Whether you would like to offer an online customer shopping experience or your website has one that needs tweaking, WebMarkets can help. We work with all of the industry leading shopping cart software, including NB Store eCommerce and SmithCart ecommerce systems. We also offer online payment solutions and help guide you through the process of accepting payments and calculating inventory online. Google has shown that it favors up-to-date, fresh content in it's search engine algorithm. With that said, it's not by coincidence that the most successful websites are those with a team of individuals who manage the website's content. Periodic updates, add/change content work, and consistent website management are important roles to a website's success. The Google algorithm doesn't mess around. It strictly enforces high quality website content and linking techniques and great website management teams prepare for that. Google crawls each page of your website and evaluates it. Our analogy: Its like a resume. When Google crawls each page, the Googlebot specifically looks for pros and cons that relate to Google Compliant Standards. If your website does not implement these standards, it will have a negative impact on its search engine rankings. WebMarkets provides solid and reliable web hosting services for your website. Tier 1 support, redundant backup, security protection, and dynamic software services are packaged together to provide web hosting plans that fit your business. Providing 99.9% web server up-time, all of our hosting is 100% internal and is never outsourced to a 3rd party. Did you know Google ranks your website on certain domain name criteria? WebMarkets has the tools to find a domain name specific to your company and purchase it for multiple years at a lower cost than its competitors. Ever hear of squatters? These are people who purchase the domains of random companies just to sell it back to them at a highers price. Purchase your company's domain while you still can! WebMarkets will gladly provide you with a list of references and/or a free website assessment to identify your Internet marketing and website development needs.